Brihaspathi Technologies Pvt. Ltd offers CCTV Camera Kit with 10% Discount for credit card Holders. Benefits and terms and conditions are apply for all kits. 5% Cash back on CCTV Cameras is valid for HDFC Bank Credit Cardholders only. 10% Cash back on Biometric Devices is valid for HDFC Bank Credit Cardholders only. Get free LED Bulbs on every order. The Offer is valid for online applications between 15th Sep 2016 to 30th Sep, 2016. This offer is valid for Credit Cardholders only. The offer is applicable only on credit cards issued in India. Extra cost will be charged depending on customer requirement. 100 meter cable will be provided. Extra cost are applicable if need extra cable. Electrical & Civil works must be done from customer end, If done from our end it cost extra. Coupons and Gifts are only for utilising doesn’t treat as a discount. The terms and conditions of this promotion are subject to change without any prior notice. Returned purchases, disputed or unauthorised/fraudulent transactions, EMI’s and Card Account Fees will not be considered for this offer. 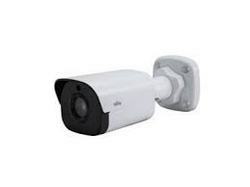 1/3 ' CMOS, 1.3 Megapixel, resolution up to 1280 x 960, at 30fps - Lens: 3.6mm, IR smart, with distances up to 30 meters,Support for the image signal noise reduction, H.264 video compression type, Source DC12V ± 25%, PoE - Temperature,35 ° C allow up to 60 ° C,use plastic IP66 waterproof. Looking for CCTV Cameras Kit ?